Are you finding that other departments in your company use different software that is not always compatible with the one your department is using? Stuck in 2D when everyone else is in a 3D world? If you’re looking for a smoother integration and a better way to communicate throughout your company, so was Astra Rail and standardizing on SOLIDWORKS solutions was its solution. Let’s check out its story. Astra Rail Industries, headquartered in Arad, Romanian, is a leading manufacturer of tank rail cars, freight wagons, and bogies. The rail car manufacturer draws upon the competence of its two design subsidiaries to support its business, including ICPV SA located in Arad, Romania, and the Astra Rail Project, a sister company based in Poprad, Slovakia. The ICPV design office of Astra Rail identified inefficiencies back in 2005 when it was relying solely on AutoCAD 2D design tools and MSC/NASTRAN® finite element analysis software. Astra Rail knew it needed to migrate to 3D design tools at its ICPV Design office to see any improvements in productivity or engineering capabilities. When the time came to evaluate new products, it added SOLIDWORKS to the list, which its sister company had already standardized on. The ICPV office chose SOLIDWORKS Standard, SOLIDWORKS Simulation Premium, and SOLIDWORKS PDM Professional because the software is easy to use, provides access to integrated 3D design and analysis capabilities, and made its data fully compatible with all Astra Rail Industries’ operations. 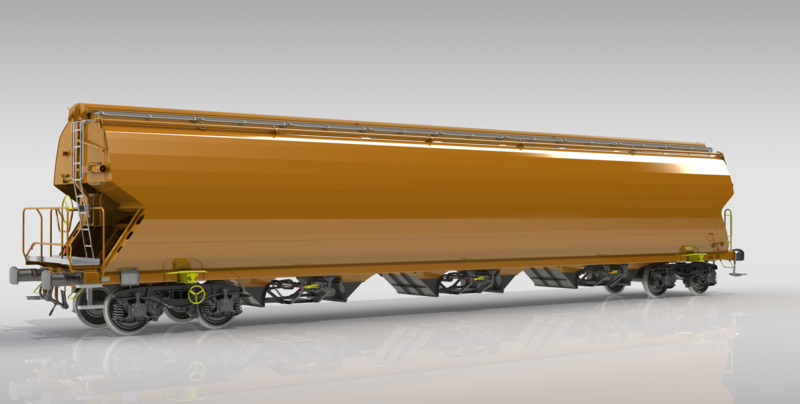 With SOLIDWORKS solutions, Astra Rail was able to shorten design cycles by up to 30 to 35 percent by updating its processes and leveraging the library of 3D components and subassemblies. It has also been able to minimize design errors with the use of SOLIDWORKS dynamic motion and interference tools. To find out more about Astra Rail and how it maximized their efficiency by standardizing on SOLIDWORKS solutions and streamlining with their other offices, Click Here. This post was originally published By Josie Morales on the SOLIDWORKS Blog and is being reposted here with permission from Dassault Systemes SolidWorks Corporation.